Various steps have been taken by Government to enhance trade and commercial relations with African countries. Bilateral trade between India and African countries are reviewed regularly, including through bilateral mechanisms like of Joint Trade Committee Meetings and Joint Commission Meetings. 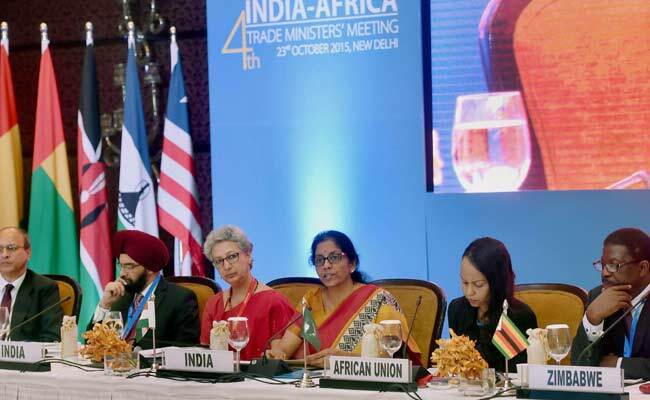 The 4th India-Africa Trade Ministers’ Meeting was organized in New Delhi on 23rd October, 2015. Negotiations to enter into Free Trade Agreement with the Common Market for Eastern and Southern Africa (COMESA), a Regional Economic Community in Africa, Preferential Trade Agreement with the South African Customs Union (SACU) and a Comprehensive Economic Co-operation Partnership Agreement (CECPA) with Mauritius are in progress. Promotional events like Trade fairs/Conclave/Buyer Seller Meet are also organized regularly in African countries and India under the Market Access Initiative (MAI) Scheme with a view to diversify and boost exports to Africa. Sessions on Africa - India cooperation was organised as part of the annual meeting of the Africa Development Bank at Gandhinagar, Gujarat from 22-25 May, 2017. The objective of sessions was to promote south-south cooperation and boosting trade and investments between India and Africa across key sectors such as Agriculture, Renewable Energy, Education & Skill Development, Healthcare, Information Technology, IT enabled Services and so on.